Tis the season! The holidays are here and it’s time to start planning, shopping and decorating. If they haven’t already, homeowners will soon adorn their homes with Christmas trees. If you’ll be getting a real tree for your home, it’s important to place your tree in a safe location. Placing your Christmas tree near a heat source can make it dry out faster causing it to die quicker; but there are some real risks in the placement of your tree. 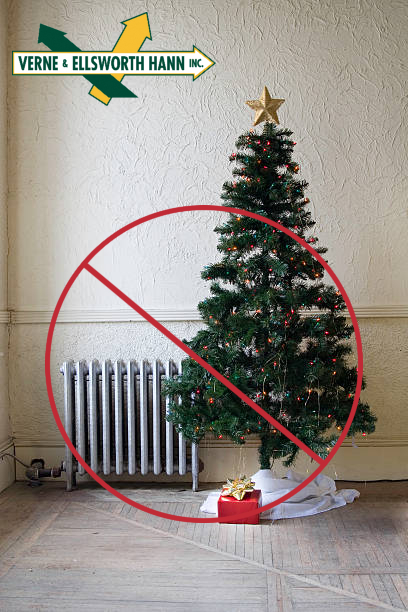 Never place your tree near a radiator, heat vent, baseboard heating, fireplace or space heater. Always make sure your tree is at least 3 feet away from any type of heat source. It is best to keep it in a cool place, preferably near a window. It is also important to add water to the tree stand daily. It’s the most wonderful time of the year. Make sure to keep you and your family safe this holiday season by taking simple steps in the placement of your Christmas tree. Be sure to schedule your heating tune-up/safety inspection with Verne & Ellsworth Hann. Let our expert technicians make sure your furnace or boiler is running safely and efficiently. 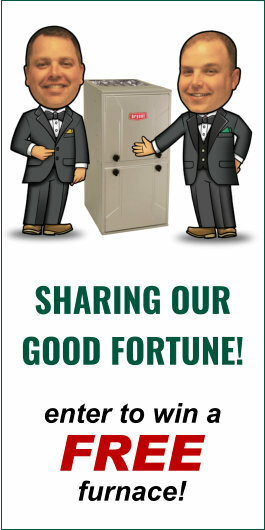 Enjoy the holidays and let Verne & Ellsworth Hann take care of all your heating needs!